I am not going to lie, Hey, Kiddo made me cry. This book is a memoir about a young man who grows up to learn that his mother is a heroin addict and goes to live with his maternal grandparents, Joe and Shirl. They are brusque and caring, though they have their own issues with alcohol. Still, they take care of Jarrett in their way and instill in him a great many positive characteristics, chief among them a strong work ethic. They also support him in terms of him following his interests, and they are instrumental in making sure he had venues to create art, which was cathartic to him in many ways. Also, it led to opportunities down the road that resulted in a career in making comics (luckily for us all!). His father is a mystery to him, and for much of his childhood he refuses to even acknowledge the man exists, not that he was present for Jarrett in any way. 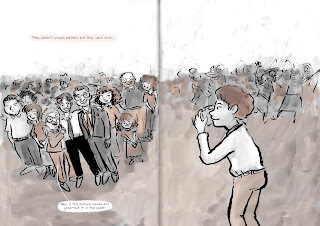 When he reaches later adolescence, Jarrett finally does make a gesture to meet him, and he learns about his half-siblings, with whom he builds relationships. There is so much about this book that speaks to what families are and how people try to find love and acceptance in this world, but none of it is sugar-coated. This book is powerful both in terms of its story and artwork. Both are subtle and nuanced. 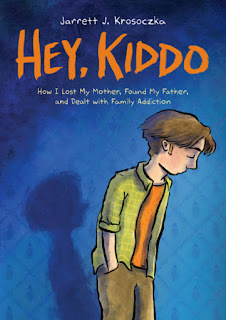 Hey, Kiddo is a slow burn with lots of emotional punch, and even though I was raised in very different circumstances, I found much to relate to and empathize with. The book also benefits from a variety of media, such as letters, coasters, artwork, and various other artifacts used as chapter breaks. These really brought home the reality of these events and situations, making them have just that more of an emotional impact. I loved reading this book. It was sad, sweet, and incredibly moving. I am very glad that it exists in the world to be something that various aged readers, not just the YA set it is marketed toward, can engage with and learn from. Krosoczka is best known for his series of Lunch Lady graphic novels for younger readers, and he has also contributed multiple volumes to the Star Wars Jedi Academy series. I met him a few years ago at Knoxville's Children's Festival of Reading, and he was a swell guy. Go check out his website for multiple versions of his biography as well as some random facts about him. It's worth the visit! This book has garnered Krosoczka a lot of positive attention and praise. He has been profiled by both NPR and The New York Times. 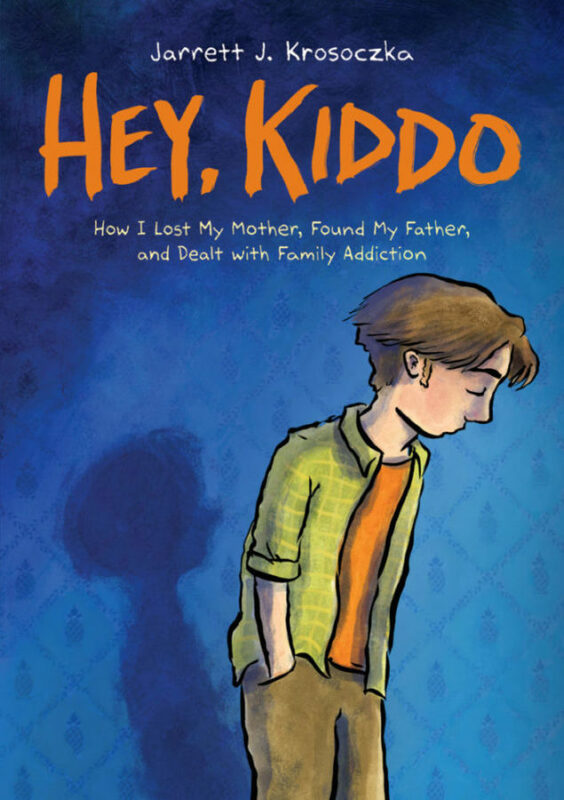 Most impressively, Hey, Kiddo was named a finalist for a National Book Award. The NYT's Patricia McCormick called it "brave" and "inspiring." 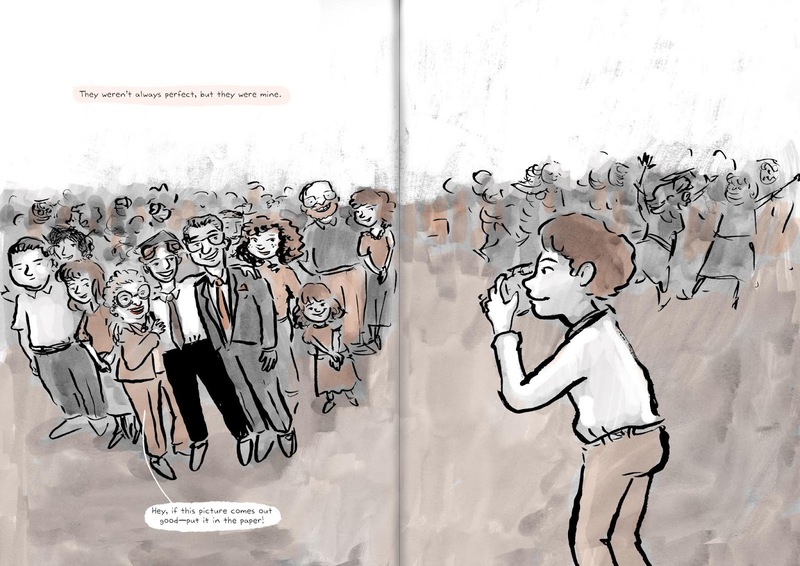 In a starred review, Publishers Weekly summed up, "This nuanced graphic memoir portrays a whole family and tells a story of finding identity among a life’s complications." 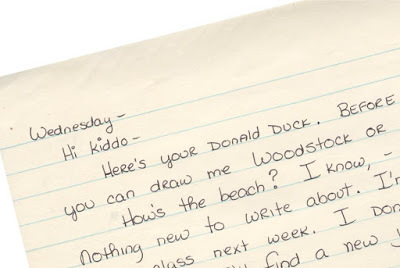 Hey, Kiddo was published by Scholastic, and they offer more information about it here. This book features some profanity, but nothing beyond what a typical YA book might contain.